All-new for 2016, the Honda HR-V is the next generation crossover to carry on the Honda legacy. Stunning from any angle, it blends the styling of a coupe, the toughness, space and utility of a SUV and the quality of a Honda. The sporty HR-V is a versatile multi-dimensional vehicle and enters the fast-growing entry crossover market with dynamic yet refined exterior styling, fun-to-drive performance, class-leading fuel economy ratings and unmatched interior spaciousness and cabin versatility. “The new HR-V crossover is a true segment-busting vehicle, unlike anything else on the market today. It’s got all the essential elements of our Honda DNA, our packaging innovation, fuel-efficient powertrain technology, leading safety technology and, above all, Honda quality, to make this an incredibly compelling, sporty and value-packed new member of the Honda family.” – Jeff Conrad, senior vice president American Honda Motor Co., Inc. and general manager of the Honda Division. The 2016 Honda HR-V is powered by a 138 HP 1.8-liter SOHC 16-valve 4-cylinder engine with i-VTEC valvetrain. Available in a sporty, fuel-efficient continuouisly variable transmission (CVT) with Honda “G-design” shift logic or a slick-shifting 6-speed manual transmission (2WD models only). All HR-V trims are available in both the two-wheel-drive or an all-wheel-drive drivetrain. The AWD models feature Honda’s Real Time AWD with Intelligent Control System for outstanding all-weather traction and control. The new crossover offers one of the most spacious and versatile cabins in its class. The 2016 HR-V has loads of interior space along with a flexible cabin that features multiple seating/cargo modes thanks to the second-row “Magic Seat”. With 100.1 cu. ft. of passenger volume (LX) and 58.8 cu. ft. of cargo volume with the second row seats down, the HR-V has space to rival some competitors’ mid-size SUV offerings. The HR-V model line up is LX, EX and EX-L with Navigation trims. Standard equipment on all HR-V models, include power windows, power mirrors and power door and tailgate locks, electronic parking brake, rearview camera, aluminum-alloy wheels, tilt and telescoping steering wheel with audio and cruise controls, Bluetooth® HandsFreeLink® phone interface and Pandora radio. Higher trim models can be equipped with premium features including Honda’s 7-inch touchscreen Display Audio telematics interface, Honda LaneWatch™, Smart Entry/Push-Button Start, paddle shifters, SiriusXM® radio, HD Radio™ and Honda Digital Traffic, heated front seats, a power sunroof, embedded navigation and leather trim. 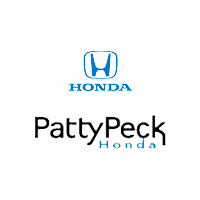 To learn more about available used 2016 Honda HR-V models, visit Patty Peck Honda in Ridgeland, MS.
Gas Mileage Est: 25 city/34 highway/28 combined mpg rating for 6MT models. 28 city/35 highway/31 combined mpg rating for 2WD CVT models. 27 city/32 highway/29 combined mpg rating for AWD CVT models. Based on 2016 EPA mileage ratings. Use for comparison purposes only. Your mileage will vary depending on how you drive and maintain your vehicle, driving conditions and other factors.